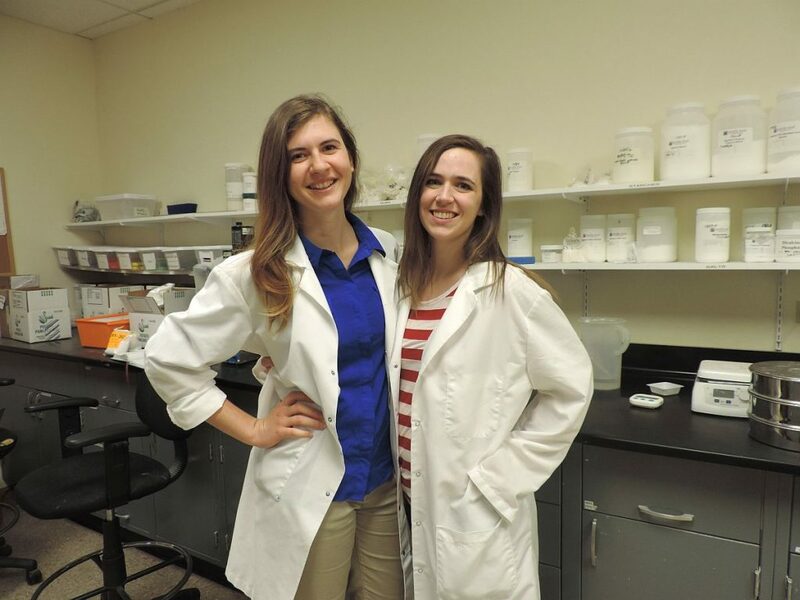 This summer Profile Food Ingredients welcomed two new employees to our growing laboratory departments- Racheal Kneebone and Meg Lubis! Both Racheal and Meg are graduates of Michigan State University class of 2017 with Food Science degrees. Racheal Kneebone is from Brown City, Michigan is now working as PFI’s Quality Assurance Coordinator. As a member of the Quality department she is responsible for keeping up to date with any customer inquires, maintaining regulatory documentation, and making sure employees follow Good Manufacturing Practices on a daily basis. Racheal is also a competitive ballroom dancer and her favorite dessert happens to be ice cream. Good thing we have plenty of that around here! Meg Lubis is also a Michigan native, but from the city of Haslett. Meg is currently working with R&D as an Applications Technologist assisting with the formulation of our custom blends and finished products, making samples of finished products for customers, as well as sending daily correspondence to customers. No two days are the same and Meg is enjoying new challenges as they come in. Some fun facts about Meg are that she has traveled Eastern Europe to sing with a collegiate choral group and she enjoys finding time to practice yoga. Welcome to the PFI team Spartans! We’re glad to have you!